Constant shifts between freezing and thawing combined with cold, dry air and wind can all take a toll on landscape plants. 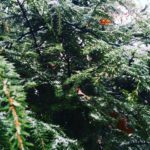 There are three simple ways to help the plants and trees in your landscape remain healthy through the winter: fertilizing, moisturizing, and protecting. Learn more to help your landscape thrive during cold weather. As the calendar turns to November and grass growth slows, it’s easy to lose sight of specific care that can be taken to ensure a lawn’s health through the winter and into the next growing season. 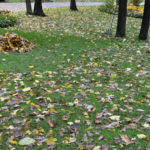 There are three things to consider so your lawn can survive the winter and thrive next spring: consistent leaf pick-up, mowing height, and winterizer fertilization. Let’s take a closer look at these steps and how they benefit your yard.